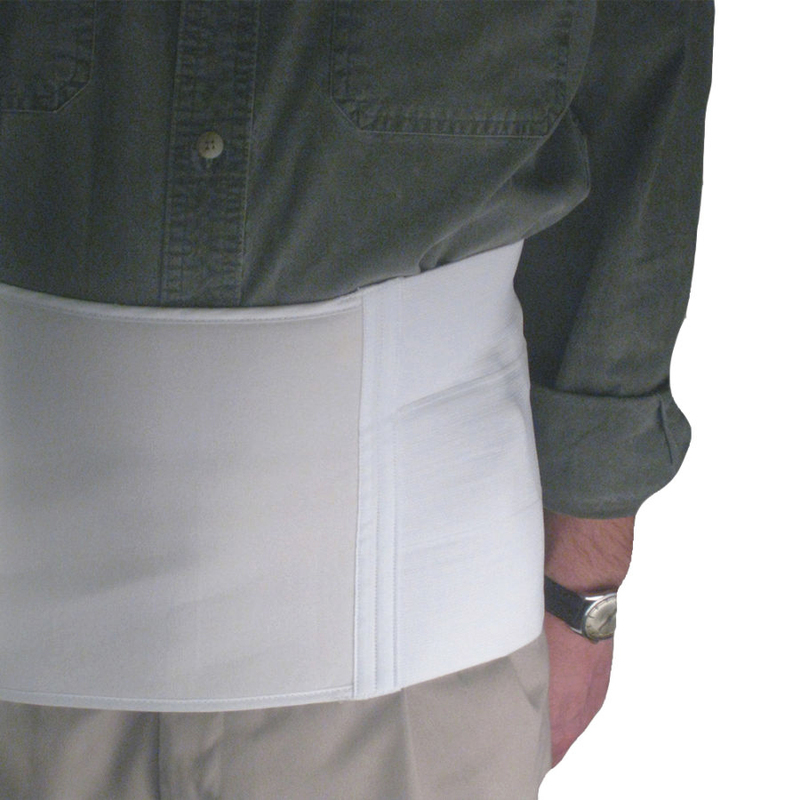 AT Surgical’s 4 Panel, 12″ Tall Abdominal Binder provides moderate support and compression to abdominal muscles weakened by strain without restricting breathing or muscle redevelopment.Types of abdominal strains are defined as a mild injury to the abdominal muscles resulting from trauma, overuse, pregnancy, inactivity, or surgeries such as cesarean, liposuction, or hysterectomy. 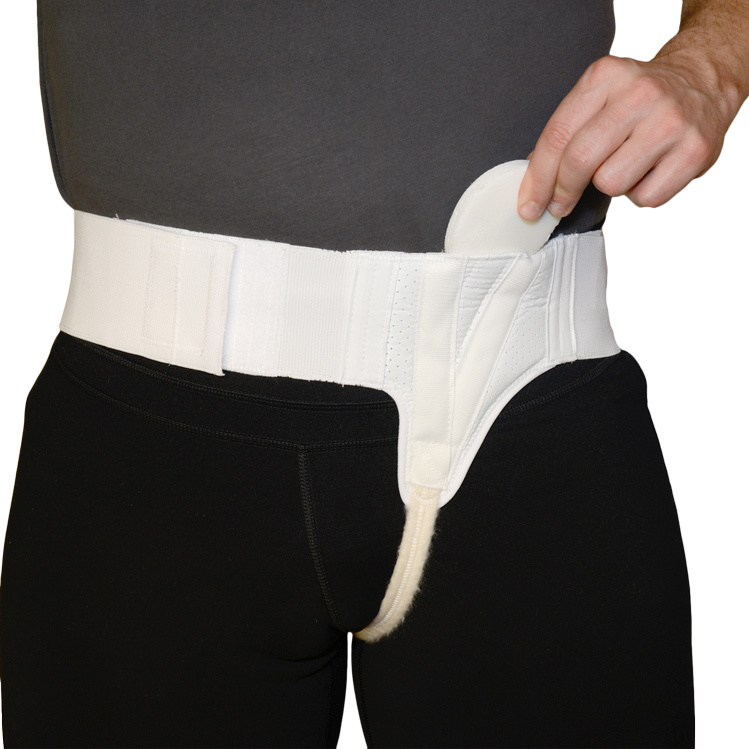 The Abdominal Binder is recommended for abdominal hernia reduction, postpartum recovery, bariatric support, and flattening and slimming of the abdomen. 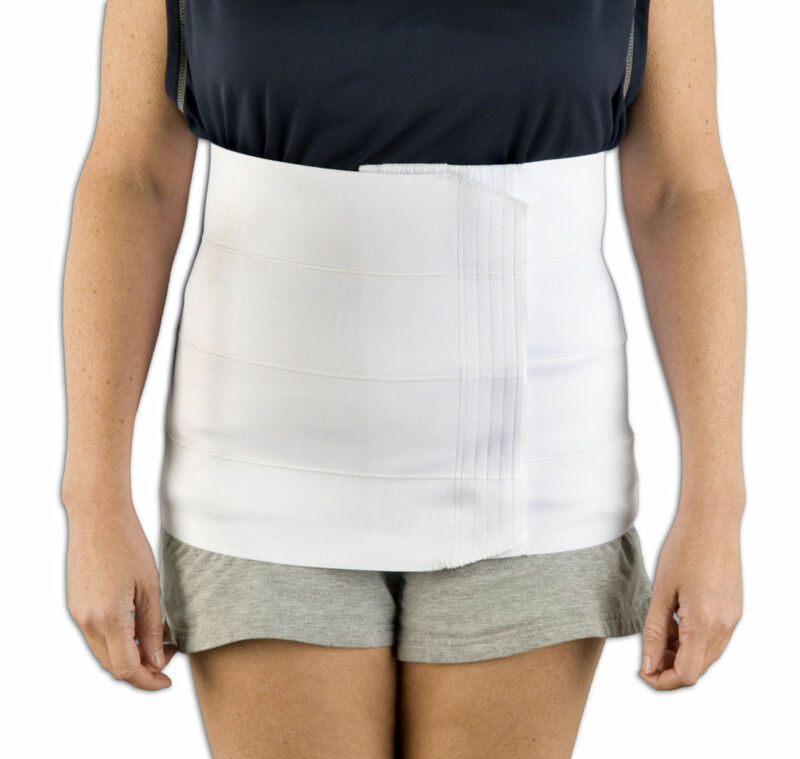 Conforms to body contour for support and proper compression, helping to speed recovery, increase circulation and reduce pain from movement or coughing. 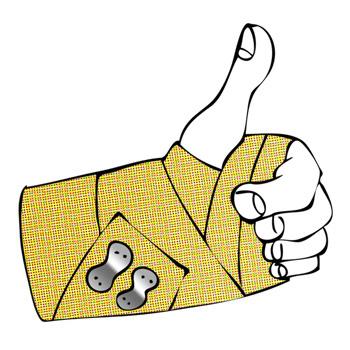 Firmly holds dressings in proper position. Garment stays in place – won’t roll or chafe. Exclusive A-T Multiple Lock Stitch and high quality fabric. Soft, breathable elastic (made of nylon, polyester and Lycra) ensures comfort, durability and consistent compression strength. 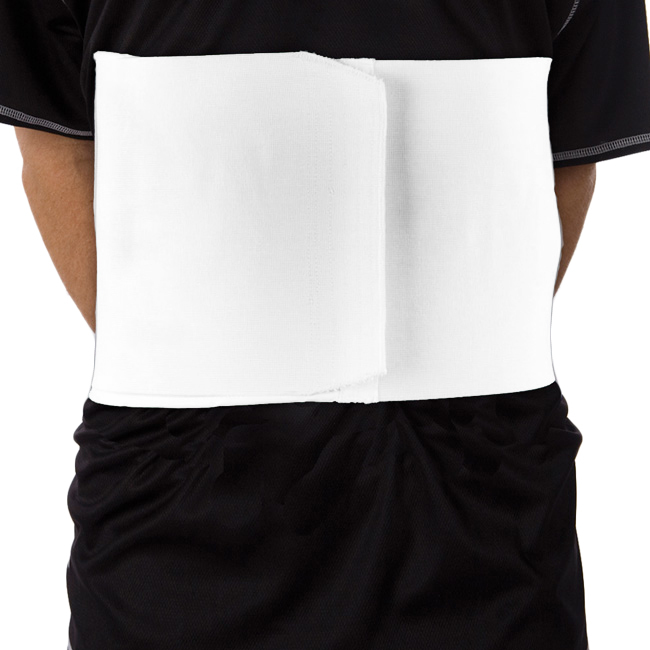 Rib Injury Binder Belt Protector Wrap For Sore, Bruised Chest Support With Abdominal Muscle Pain Treatment.